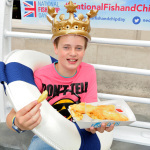 As Reach For The Stars plays on our Spotify Cheesey Playlist it seemed apt to reflect on the work we did on National Fish and Chip Day 2017 earlier in the Summer. 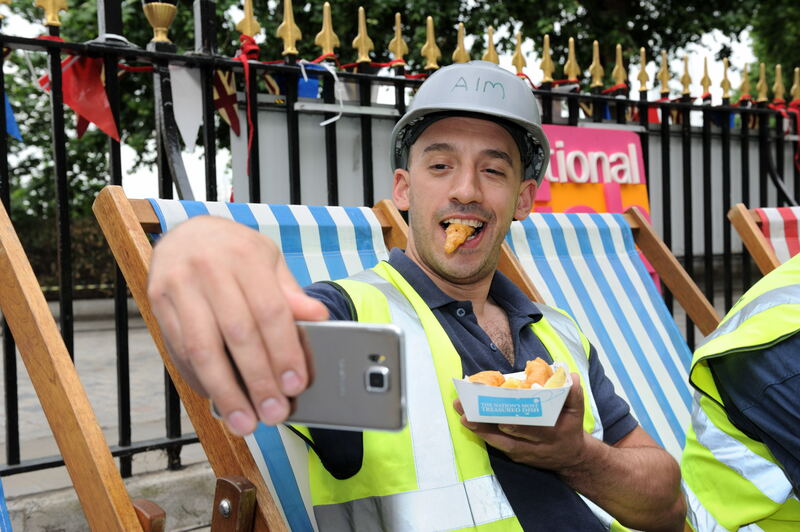 The only trouble with getting excellent results for your client on year one of a project is that you have to try and exceed those results when you win the contract for a second year….and that’s exactly what happened with National Fish and Chip Day 2017! 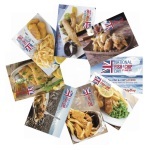 We talked about what a triumph NF&CD 2016 was here http://risecommunications.co.uk/national-fish-chip-day-is-a-pr-triumph/ and we were absolutely delighted that our client, NEODA (the National Edible Oil Distributors Association), awarded us the PR contract for this nationwide awareness day celebrating the nation’s favourite dish again in 2017. 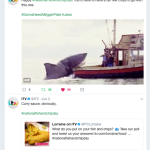 But where to start – we saw phenomenal national and regional broadcast, print and online coverage last year and the event took social media by storm. How could we replicate and indeed improve on those results….. 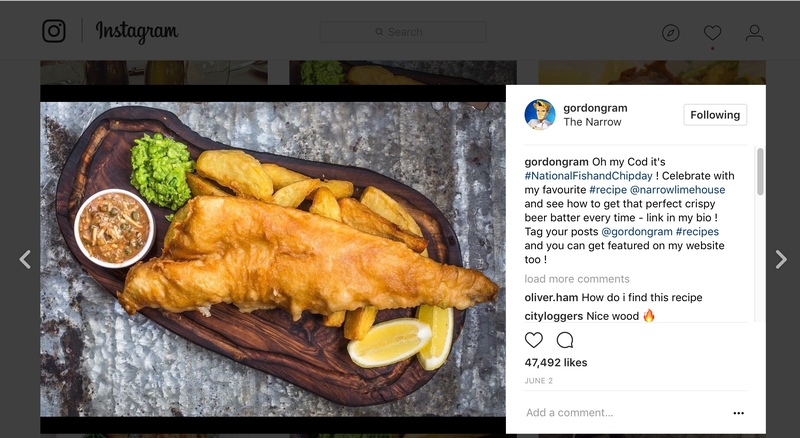 Although we were lucky to be able to start the national PR campaign earlier this year, we were still working to a limited budget, but our competitive streak came into its own as we went all out to outdo our own selves! So, we did what we do best and took to the phones to re-kindle the relationships we’d established with journalists in the previous year. We began selling in stories and working closely with journalists. We aren’t going to give away all our secrets though – but the results speak for themselves! 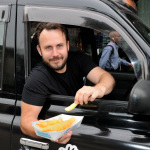 As part of our full on PR Campaign this year we prepared a comprehensive Campaign Toolkit full of information, downloads and advice on how fish and chip shops could get involved in the day . 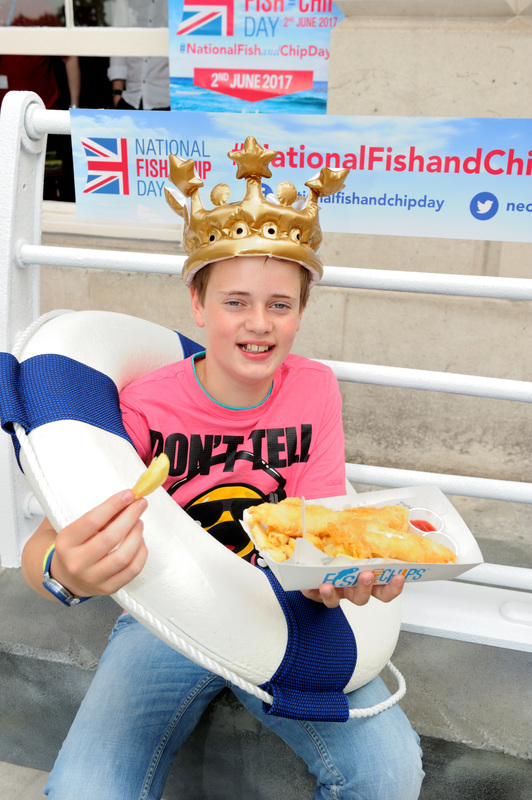 We also conducted a ‘fun’ Fish and Chip Survey prior to National Fish and Chip Day. This survey was given credibility by being completed by 1,675 respondents. 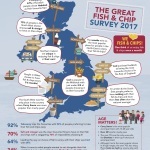 The results and the stylish infographic we produced were shared with national and regional media and formed the basis of many of the articles written about and talked about on the day. 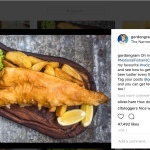 Sara Cox quoted most of the results on the BBC Radio 2 Breakfast Show and the regional variations created a buzz on her show, with many viewers phoning in with their own favourite ways of eating fish and chips. 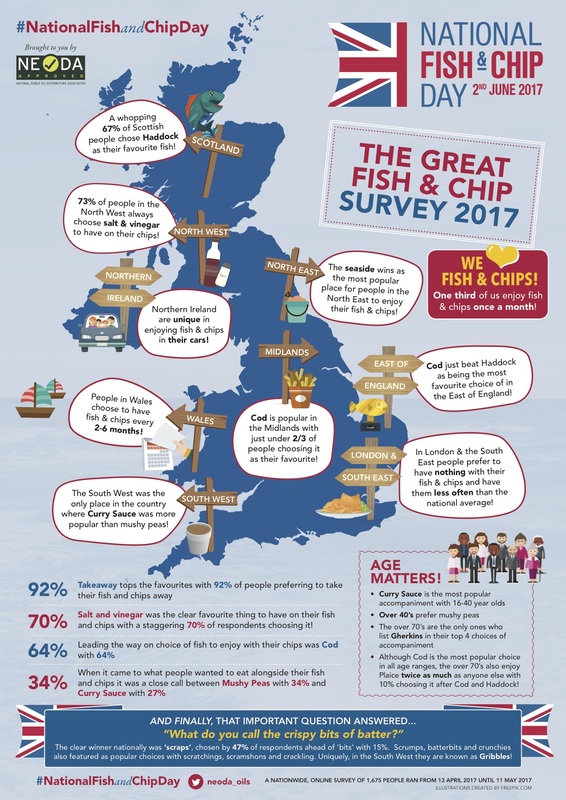 Social media came alive when NEODA shared the survey results the day before National Fish and Chip Day. 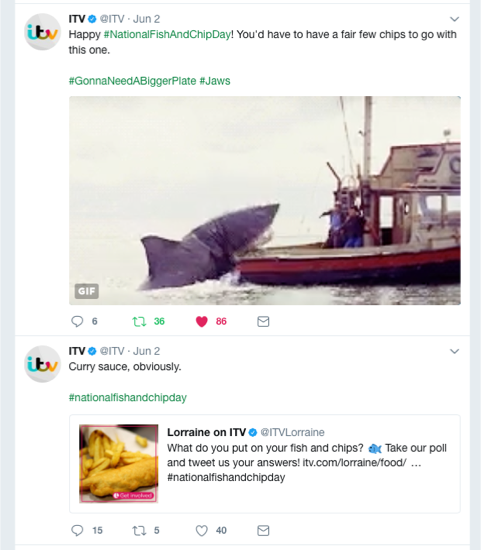 This single post received 460 Likes, 221 Retweets and 25 comments – a great result and NEODA’s most successful tweet of the campaign. We were further thrilled with the success of two events arranged for the day. 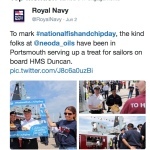 After NEODA successfully negotiated the use of the incredible Trinity House, we assisted with the event. 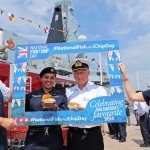 Trinity House is a charity dedicated to safeguarding shipping and seafarers, providing education, support and welfare to the seafaring community so it was a very obvious partnership. 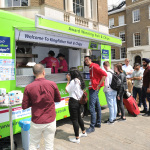 Their courtyard at the front of the building was the perfect size to create a beach themed event with Kingfisher Fish and Chips, officially the best fish and chip shop in the country, at the forefront. 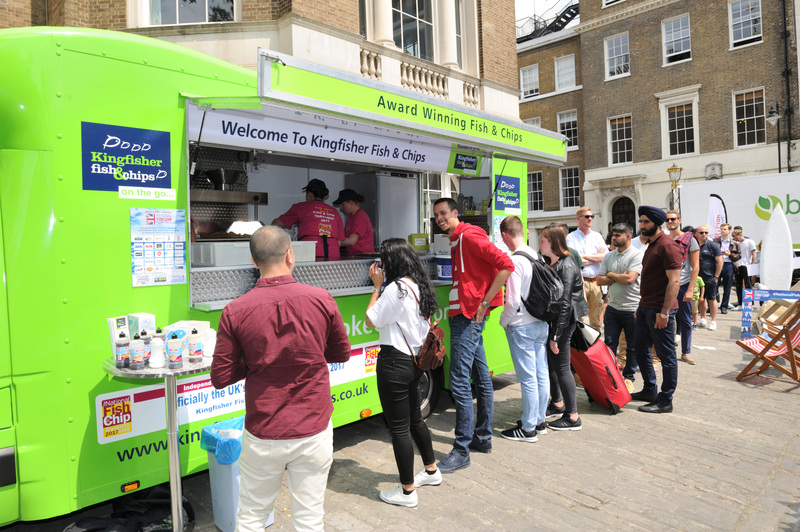 Proceedings began at 6.30am with the arrival of props and Kingfisher were frying and giving away portions of fish and chips from their eye-catching van by 7.30am. This continued for 7 straight hours before a quick break and then another hour or so before rain stopped proceedings. 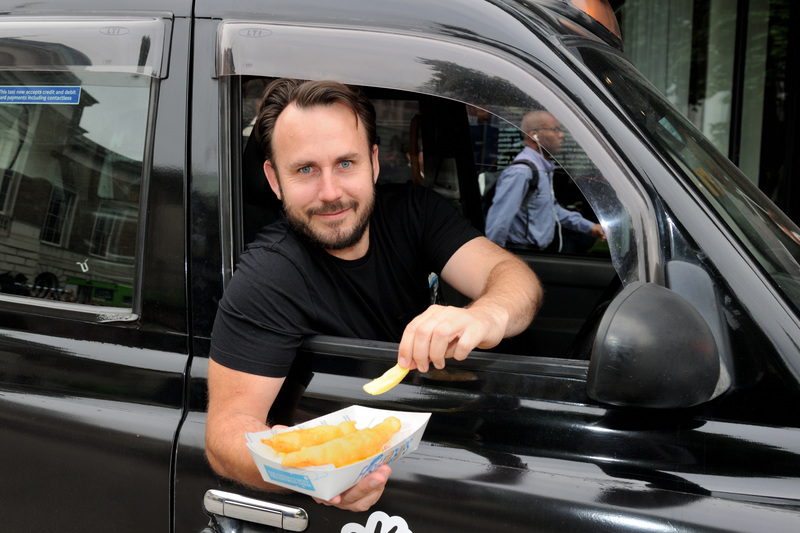 In that time, we gave away over 1,400 portions of fish and chips to some very happy commuters and tourists alike, and raised a substantial amount of money for The Fisherman’s Mission. 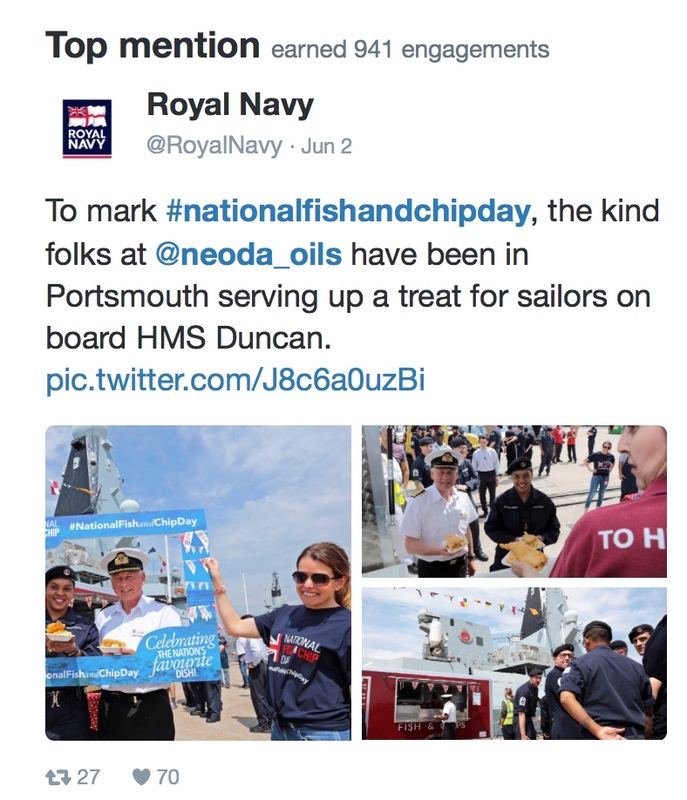 Meanwhile, in Portsmouth, after much negotiation by Rise with the Royal Navy communications team, we were delighted to be allowed into the Naval Base. 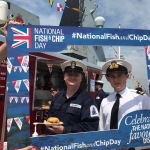 The Royal Navy are extremely supportive of National Fish and Chip Day and this enabled us to give Long John’s mobile van a prime location on the naval side of the dockyard. 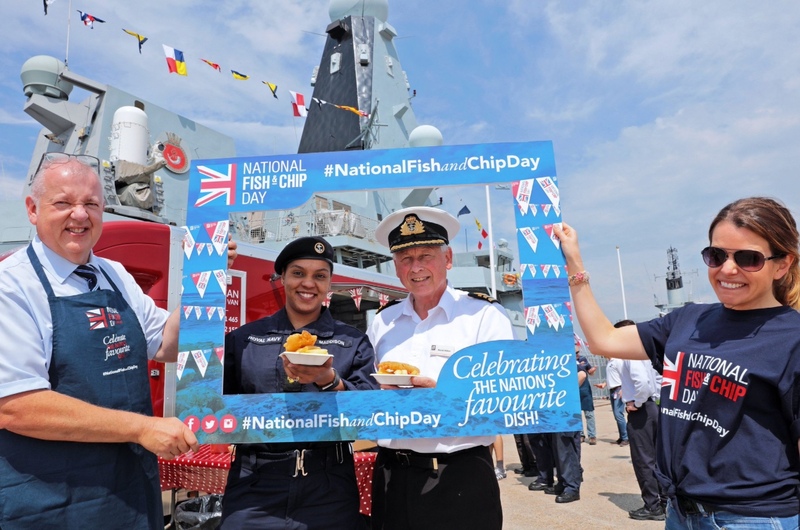 The van was set up to serve the crew of HMS Duncan, who unexpectedly returned to Portsmouth the day before and was alongside HMS Daring who returned from a nine month deployment in May. 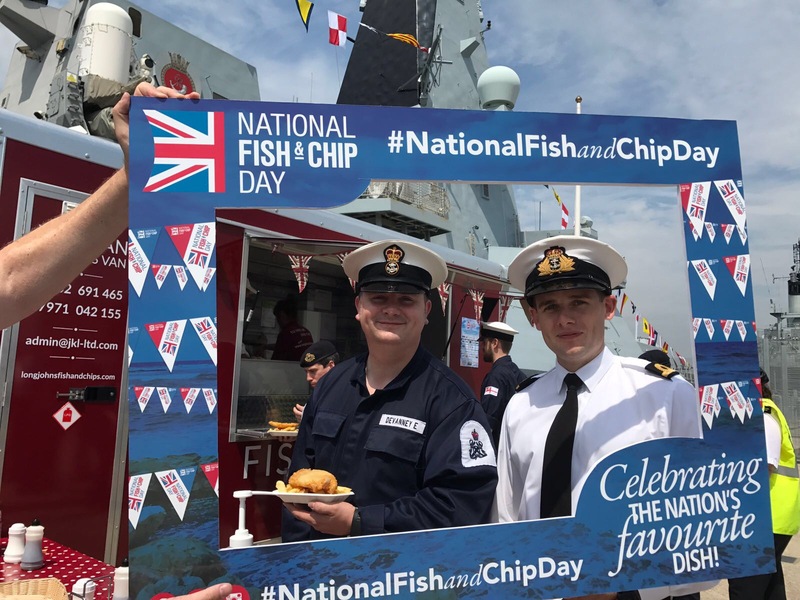 This exclusive location enabled Long John’s to give away 350 portions of fish and chips over the lunchtime period to some delighted servicemen and women, including the ship’s chefs who left their own galley to come and join the celebration. 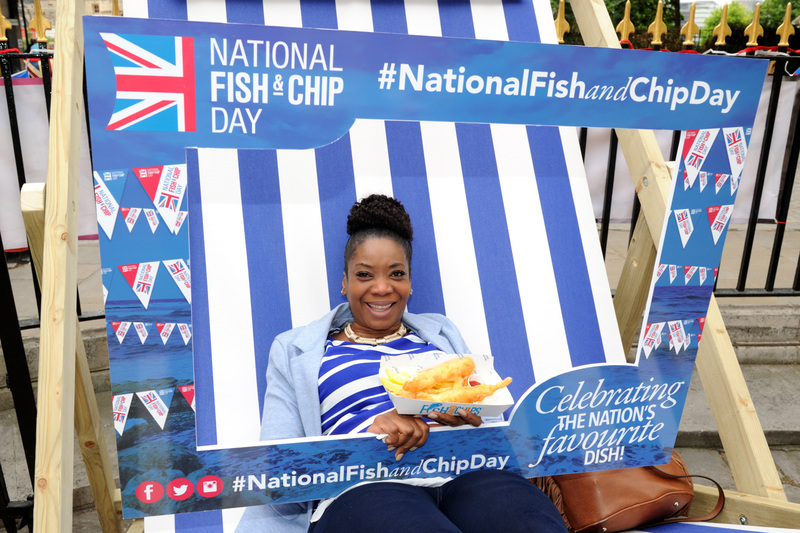 And so to social media…despite Donald Trump’s best efforts to keep us from the top spot, #nationalfishandchipday was trending at #1 by 9.30am! 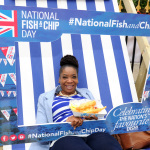 Our client, Lynda Simmons from NEODA said “We had no hesitation in appointing Rise to run the PR Campaign around National Fish and Chip Day for the second year running after achieving such brilliant results in 2016. Sadly, we had an extremely limited budget this year, but that didn’t stop Rise going all out and generating some incredible coverage before, during and after the event. The results speak for themselves – to see such huge increases in coverage and the value of the campaign year on year was amazing. 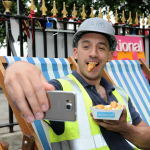 Rise really have surpassed themselves and I can’t speak highly enough of the effort they put into their work – they are more than a safe pair of hands, they are creative, inventive, extremely well connected and determined”.